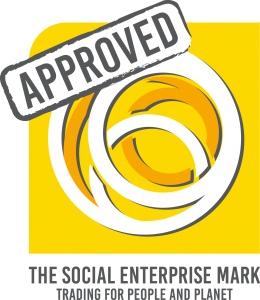 Social Enterprise in Vietnam Part 2: Meeting Some Inspirational People and Amazing Social Enterprises! During my recent trip to Hanoi I had the joy and privilege of meeting some inspirational founders of social enterprises. KOTO is a social enterprise that trains people in catering and hospitality in a real restaurant setting. The model is working well and is spreading to other parts of Vietnam. I visited KOTO and was warmly greeted by young people who demonstrated their skills in customer services and fluency in English. It put my Vietnamese to shame but they did let me sample their exceptional dishes. I also met two Australian volunteers who were so moved by their experiences in working with young people at KOTO they have committed to giving support, ranging from teaching English to helping to write the next annual report. There’s a bit of a food theme developing here! 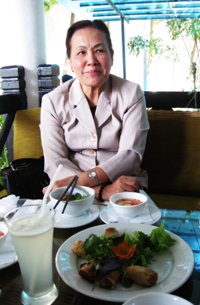 At the Hoa Sua Restaurant at the Museum of Ethnology I had lunch with Mrs Pham Thi Vy, the redoubtable 71 year old founder of the training school there. When I learnt that the current retirement rate for women in Vietnam is 55 her story is even more remarkable. She spoke passionately about her work; the children she takes as they leave the care of orphanages, providing them with accommodation, training and employment in her restaurants. 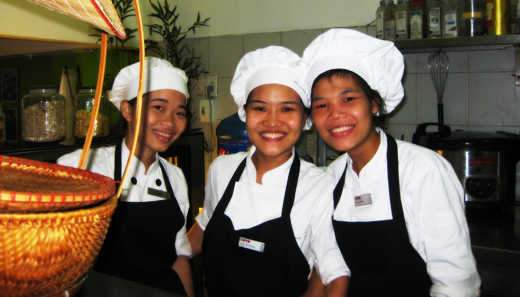 She has a 100% success rate of progression into employment in catering and hospitality. Wow! The most moving visit was to the 14th Floor of an apartment block in the suburbs of Hanoi where I found Ms Thao Van, the founder of The Will To Live Center. 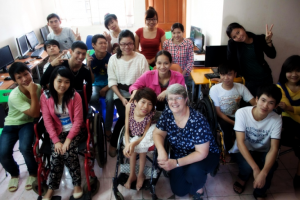 She is providing training, accommodation and routes to employment for young people from across Vietnam who live with disabilities. 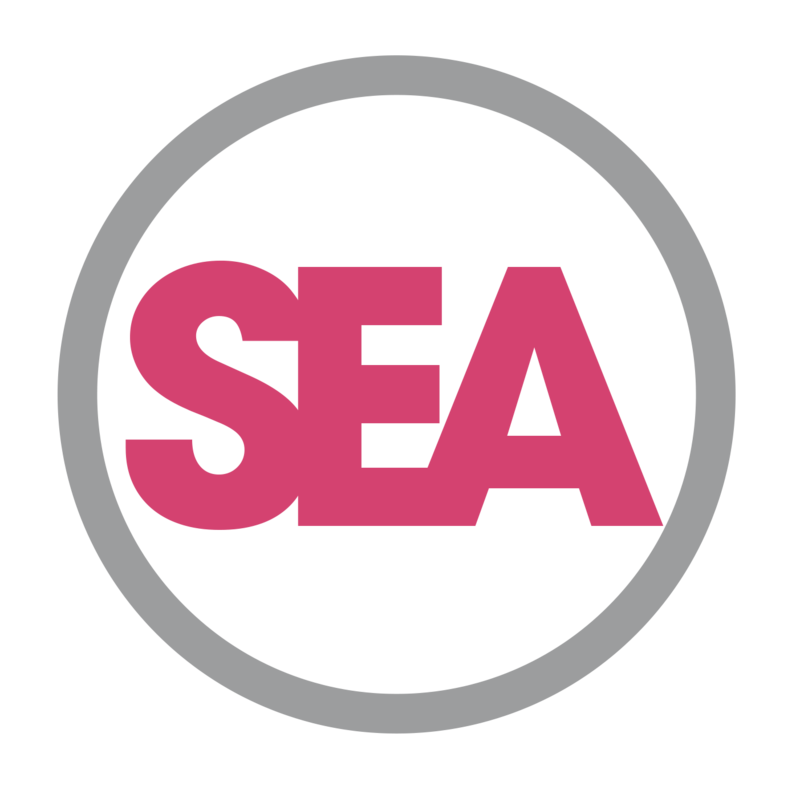 She runs a graphic design company and uses the money raised through trading to support and train young people. They learn graphic design and web design skills and she helps them find work with large companies. The transformation in the lives of these young people is truly inspiring and her only ask was for some wheelchairs. These will provide the young people with mobility support which will enable them to find employment. Hopefully we can help them with that from the UK! We’ve already sourced some refurbished wheelchairs through the Margaret Carey Foundation, who work with offenders at HMP Kirklevington and other prisons. Now we just need to find a way to deliver them to Van and the young people she supports. Come on, if there’s anyone out there who can help, please get in touch!